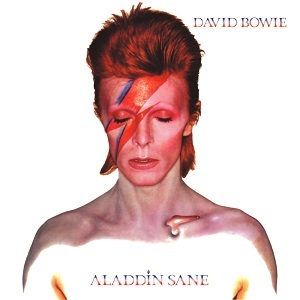 Amidst all the online obituary readings, hysterical tears and a plethora of Aladdin Sane replays in this recent week, all I can say (very redundantly I’m quite aware) is that in the face of such a hard blow I am at a massive loss. The mere fact that I shared 15 years on earth with a man so synodic and electrifying can also be seen as a pretty big gain, and pondering such a spectacle over this time, since I have no new eloquent spin on such a dynamic individual, I’ll instead provide you with something a bit more candid: Bowie in my experience. Ah, but where did it start, you ask? My first recollection is probably of the 1977 song “Heroes,” a favorite of my mother’s, which to this day still makes reoccurring cameos on family road trips. “Heroes” is an incendiary tale of two lovers on opposite sides of the Berlin Wall, a declaration of love and revolution, which blew my mind at the time even as a young child, though I couldn’t fully understand the strife of the song. This is one of the many qualities of David Bowie that I adore even now, his ability to translate complex emotions through simpering croons and exhilarating guitar riffs. Even listening to it at 15, the only way to describe the emotion the song evokes is euphoria; it’s a good listen for looking out at the maddening lights of Manhattan or maybe even dancing like mad in your room. It often makes you forget that life is so fleeting. After I’d professed my love for the song, the next stage was intrigue, I had to know the face behind the voice, so I took to the Internet. I remember the video clearly: the slim chiaroscuro appeared on screen, and then the close-up. It was then that I was certain I was enamored with this man. At 8 years old his languid gaze, mismatched eyes and gaunt face held a sort of allure that was foreign to me, something alien, but undeniably endearing. Let’s just say I devoured every “best-of” in sight from that day forward. I think many will agree with me when I say that in the case of his music and his persona David Bowie was a true artist. Balancing theatrics and characters seemingly effortlessly through Bowie and juxtaposing them with the sincerity and the humor of David Jones. Even his androgyny and blatant disregard for gender roles and what was conventional at the time is something to be admired today. He truly was a catalyst, glimmering and interplanetary in the face of disillusioned youth, a figure as dynamic as the titular character in his song “Starman,” a particular favorite of mine. A song that puts a strangely comforting twist on interplanetary life by implying that if we were to encounter a sign that we’re not alone in this universe something that we’ve been searching for forever, they wouldn’t want us to change our way of living or invade, they’d just want us to dance. I’ve always liked that idea of something so simple yet evocative. I imagine that’s what Bowie is doing now; commencing the most glorious dance, cherry platforms brushing against the very surface of mars, a hero, a modern lover, finally returned home.